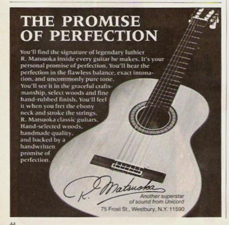 The M50 seems to be the point at which Matsuoka guitars cease having laminated Rosewood/Mahogany back & sides. (unlike the M20s & M30s). The quality of the wood on the M50 seems to be of a very high standard.